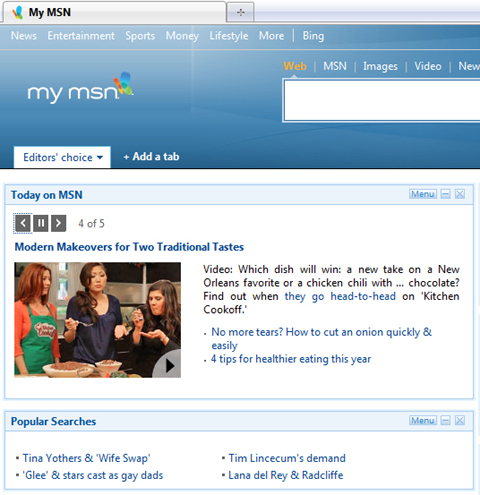 Jelynn and Kitchen Cookoff on MSN Homepage Today! 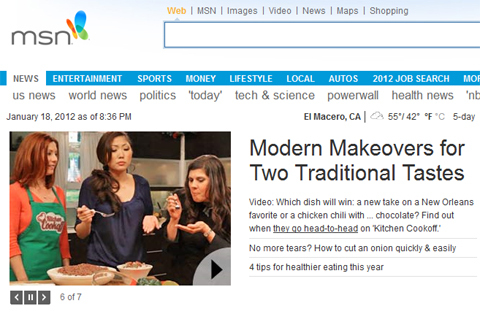 Earlier today MSN uploaded new episodes of Kitchen Cookoff, and even put the show on their homepage! You can currently see it on page 6 of msn.com or page 4 of Today on MSN and the screenshots below. Congratulations to Jelynn, Jill Houk, and everyone else at Kitchen Cookoff!